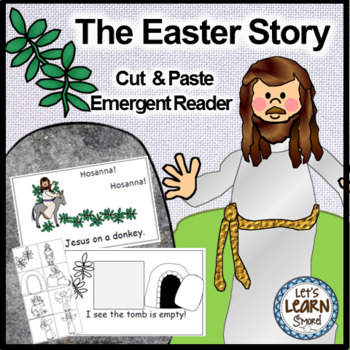 The Easter story activity emergent reader is for the Christian classroom. It comes in both a cut and paste activities reader and a full color class book. 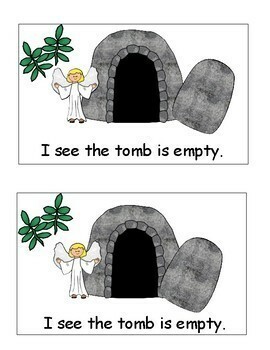 Students will love learning about Easter with this book. 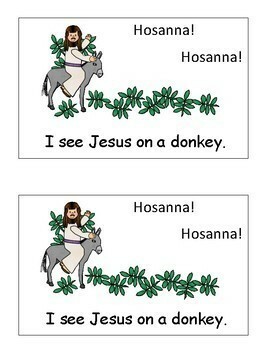 This book is for the Christian classroom or home. Use these books to help tell the story of the resurrection. This download includes two books, ten pages each. The first one is a cut and paste emergent reader in black and white. 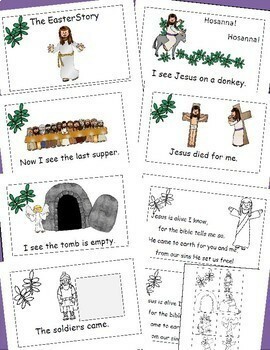 Your students can have fun, coloring, cutting, and pasting the pictures that complete each page. The second book with it's colorful pages can be read to the class or can be added to your library for independent reading. There are two copies on each page so you can just cut and staple. Please rate this product after download!